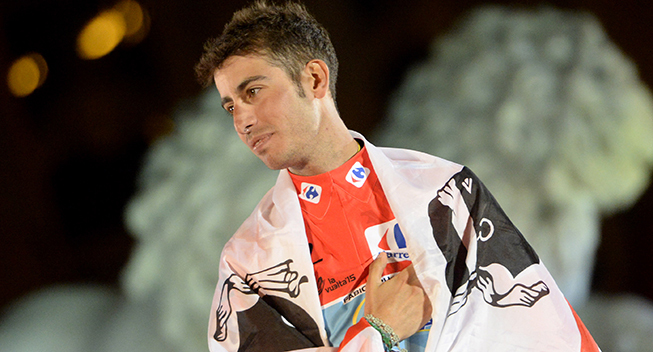 Fabio Aru will not ride Fleche Wallone and Liege - Bastogne - Liege. Vuelta a Espana winner Fabio Aru will be missing the rest of the Ardennes Classics as he abandoned the Amstel Gold Race today. The Italian rider sufferede from pain in the back during the race and pulled out of the race due to the injury. The pain is probably a consequence of the crash he Aru suffered in Vuelta al Pais Vasco. ,On the 5th stage, he crashed. To prevent him from making things worse and looking to the next important goal of the season, the Tour de France, the team's management, in agreement with the athlete, has decided to anticipate the rest period that would have started from next Monday. As a consequence of this decision, Fabio Aru will not attend Fleche Wallone and Liege – Bastogne – Liege.